Metamkine has elsewhere 006-2 in stock! Metamkine has Gil Sansón / Lance Austin Olsen 'Works on Paper' (elsewhere 006-2) in store now! Gil Sansón / Lance Austin Olsen - Works on Paper (elsewhere 006-2) is officially released. We will ship all preorders soon. preorder for elsewhere 006-2 started! Digital lossless DL files and streaming are now available on Bandcamp. We also accept preorder for CD of Gil Sansón/Lance Austin Olsen - Works on Paper (elsewhere 006-2) on Bandcamp and here on this website, too. HD FLAC 24bit files are available here on this website, as well as lossless 16/44 AIFF files here. Official release date for the three upcoming CDs are February 1. ​Thank you so much for your kind support! Great year-end news on elsewhere! ​Also, Elsewhere was mentioned as his "2018 Label Debut of the Year". Melaine Dalibert - Musique pour le lever du jour (elsewhere 002) was listed in Musique Machine's chief editor Roger Batty's Best of 2018 list. 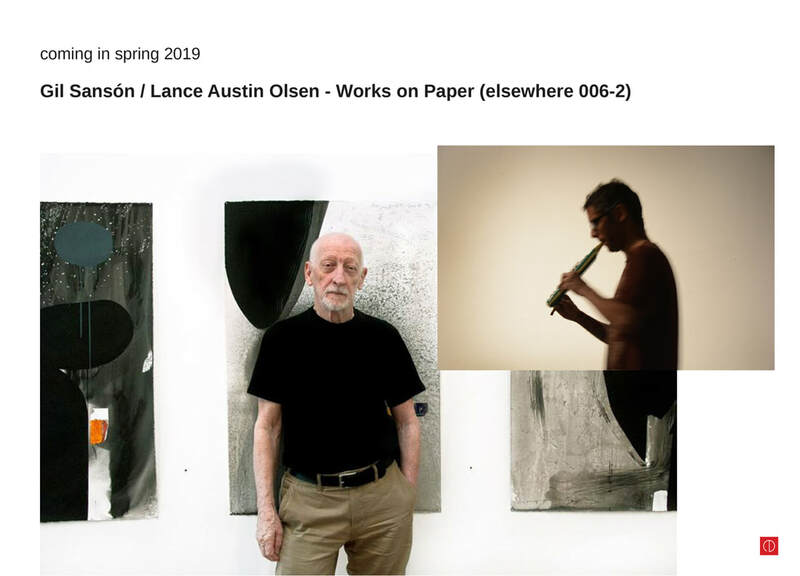 ​Gil Sansón / Lance Austin Olsen - Works on Paper, aiming for January 2019 release. We added a new page 'Q&A Interview', an in-depth interview with the label's artists. Click here. ftarri shop has new CDs in stock! 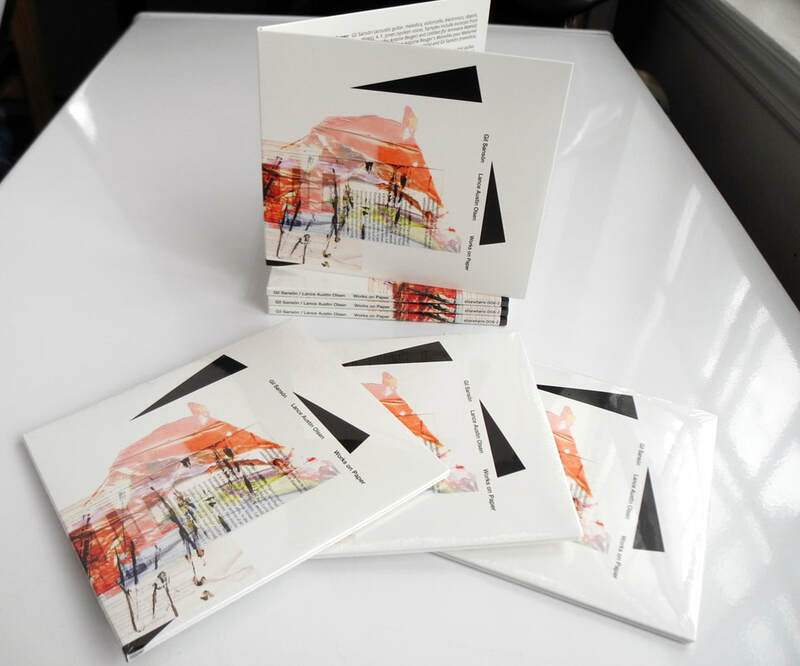 ftarri shop has three new elsewhere CDs (003, 004, 005) in stock now! Very excited about this new project - a powerful, beautiful, compelling collaboration between Gil Sansón and Lance Austin Olsen. *More details will be announced later. 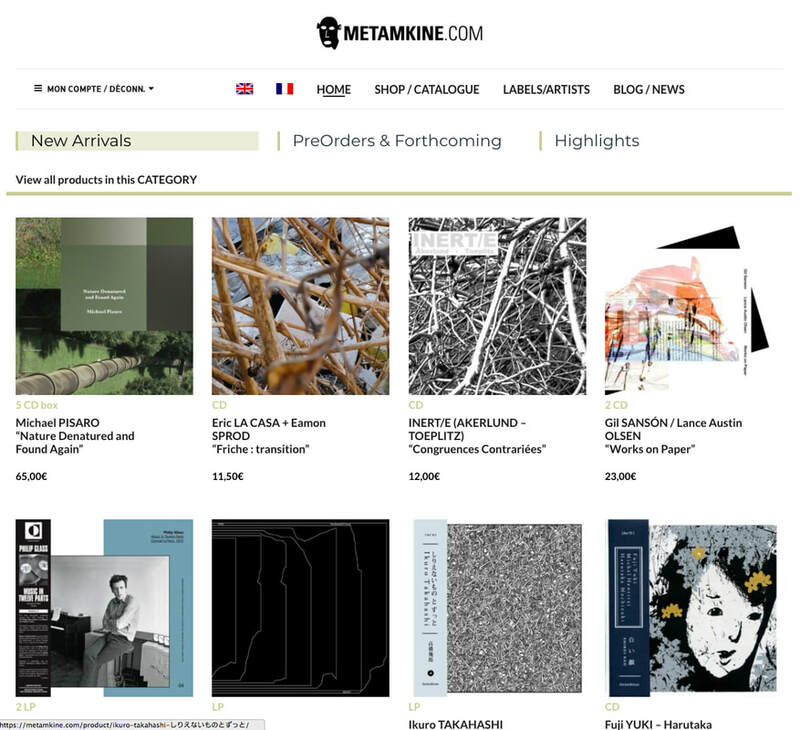 Metamkine has new CDs in stock! Metamkine has three new elsewhere CDs (003, 004, 005) in stock now. Digital lossless DL files and streaming are available on Bandcamp. We also accept preorder for CD of elsewhere 003, 004, 005 on Bandcamp and here on this website, too. HD FLAC 24bit files are available here on this website, as well as lossless 16/44 AIFF files here. Official release date for the three upcoming CDs are October 10. Thank you so much for your support!